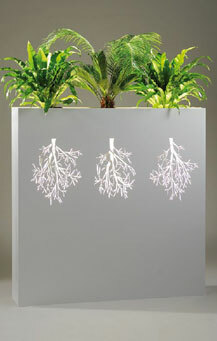 Large contemporary planters can do more than just house plants. 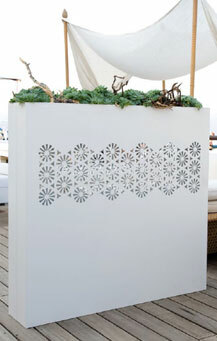 Tall planters are useful at defining spaces and providing privacy in both public and private outdoor spaces. The designers at Bysteel have designed a series of tall planters that not only assist with the organisation of internal spaces within large outdoor area but also provide a unique approach to incorporating decorative patterns to the great outdoors. 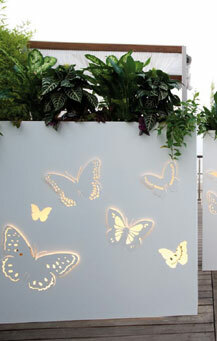 Bysteel have developed 12 different planter designs with light emitting features. Go to their website for further details http://www.bysteel.it. Previous articleGarden art with corten steel. 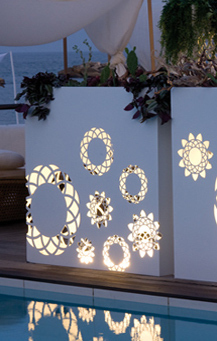 Pierre Le Roux Designs are adding design to outdoor accessories.